When you are looking for a professional Toronto pool company who can provide you with the high quality maintenance and general pool services you need to keep your home’s pool in the best shape possible, you will always find it right here at Olympic Pool Services. Since 2003, our team of skilled professionals have shown time and time again that they have the skill and expertise necessary to provide each and every one of our valued customers and their families with the exceptional care they need to get the most enjoyment possible from their home’s pool. Are you looking for a team of professionals you can trust to help you open, close, or just maintain your pool? If so, give our team of professional Toronto pool service experts a call today and let us show you the difference that quality can make when it comes to your next pool service. 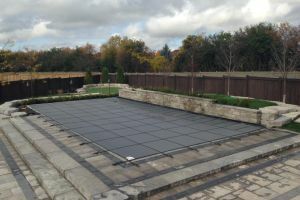 If you are like many homeowners here in the Toronto area, you likely close your pool down during the winter to avoid damage, but getting your pool ready for use again when spring comes back around can be quite a process, especially if you have never done it before. Here at Olympic Pool Services, we can provide you with the comprehensive pool opening services you need to get your pool ready for spring and all the fun that follows. Our team of skilled professionals will help you with any scrubbing and washing that needs to be done both inside your pool and around the deck, safely store away any covers, remove and haul away debris, wash all water lines, remount any pool deck equipment and fittings, and provide you with 20 free liters of chlorine to help get your pool started off on the right foot this year. During this opening process, our team of professionals will also be on the lookout for any signs of leaking or other damages that could cause issues in the upcoming pool season, and help you determine what needs to be done to correct them. We can even send out a licensed gas service man to check the safety on your pool heater, and help you safely get it started. Much like pool opening, there is a lot that needs to be done in order to safely shut down your pool when the weather starts getting too cold for use, and having a team of professionals on hand who know how to do so effectively and efficiently can be absolutely invaluable. Here at Olympic Pool Services, our comprehensive pool closing professionals will help you vacuum out your pool, lower your water levels, remove all of your deck equipment and fittings, and help you blow out all remaining water in your pool lines and other various equipment and cap them to ensure no water remains within the system as the temperature continue to drop. We even offer a winterizing chemical kit to help you pool maintain water clarity over the course of the winter months. After all of this, we will neatly put on your winter cover and water bags to finish the job. Keeping your pool in good working order can feel like a full-time job at times, but with the help of our Toronto pool maintenance professionals, it doesn’t have to be. Here at Olympic Pool Services, our team of pool maintenance pros can provide you with the comprehensive ongoing maintenance you need to keep your pool in good health and looking its best all season long. From regular vacuuming, to chemical level checks, filter cleaning and maintenance, and even water balancing, our team of experts can take care of it all while you get to relax. Do you want a new pool on your property? 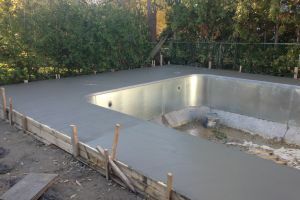 Our professionals have the skill and experience to help you construct the pool that you and your family have always dreamed of. We can also assist you if something should happen to the pool you already have. Should something go wrong with your pool, simply pick up the phone and give our specialists a call at 416-677-2524 today! When & Why Do You Need A Professional Inspection For Your Pool?